What is the relationship between Diamond and Jewish people? The history of their diamond business dates to middle ages. At that time, Israelis were scattered all over the Europe, or lived in Ottoman empires. Many countries imposed strict limits on the industry that Jewish can enter. They were only relatively free in the field of trade and finance. Diamond was once considered as a new commodity, so the selling and processing of diamonds were not subject to the government. At the same time, since the diamond itself is easy to store and transport, Jews who are used to being expelled usually have to change all their possessions for diamonds, then they can set off at any time. Jewish artisans, with their exquisite technology in grinding and processing diamonds, enjoy a good reputation internationally. The diamond trade, as an ancient trade, continues for thousands of years. Buyers and sellers sit on both sides of the table, and the seller opened a stack of small paper bags full of diamonds. The buyer used a special magnifying glass to gently clip the diamond and check it under the lamp. In line with the principle of " cash on delivery", the diamond trade is finished on site. The buyer generally pays the dollar check, and the seller can complete the withdrawal or transfer within the exchanges. The buyers and sellers ended the deal with an ancient "handshake" and exchanged greetings in Hebrew: "good luck and be rich!" This tradition has continued until now, becoming a fixture in the world's diamond trading venues including China. After the founding of Israel, jewelers who engaged in the diamond business and craftsmen who mastered the art of diamond processing came back from Europe. Diamond processing has become an important pillar industry in this country. Israel's small polished stone products account for about 80% of the world's total. A diamond trading building outside Tel Aviv accounts for 40% of the world's diamond jewelry market, and flower diamond accounts for 70%. Levi, an Israeli jeweler has a monopoly on one-third of the world's rarest diamonds. Israel's diamond processing plant, is highly praised as a role model for the highest standards of global diamond technology. Using the most advanced diamond processing technology in the industry, most of these processes were developed by Israeli craftsmen. Israel is very good at cutting and processing. The diamond looks very bright, and keep the original surface at the same time. Sometimes it doesn’t seem to be 57 surfaces. This is flexible, and the price of diamonds is improved. Because of the industry's high demand for participants' credit——Diamonds change keepers a few times in transit, Jewish businesses usually are controled only a few large families, the mutual trust between members is high and business is easier to achieve. 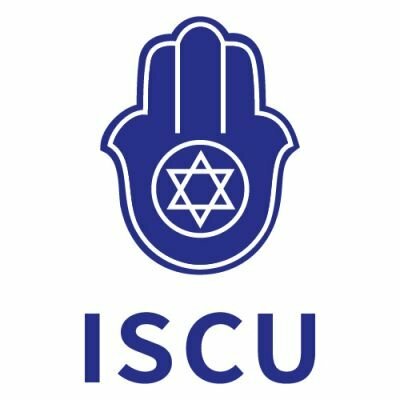 So there is one important point that: The majority of diamond cutting is fundamentalist Jews, who have a very low tolerance for theft, being expelled from the community is a matter of life and death for Jews, It also encouraged the Jewish craftsmen to keep their word and maintain their credibility. Since then, diamonds have made great progress in processing technology, and the cutting of diamonds has begun to become an art form, an important part of the commodity value of diamonds. The core has been dominated by Jews, the diamond cutting industry is naturally in the charge of Jews. Today’s Tel Aviv, It has been a leader in the innovation of diamond cutting technology, especially in fancy cutting and accurate matching. Israel's diamond industry is also highly competitive in the market, thanks to automated equipment and scientific cost control. It combines advanced science and skilled labor with exquisite craftsmanship, making Israel's diamond industry the most cost-effective model in the world, being The leading position in precision and other aspects.